Sometimes small potatoes cook the best. Located in beautiful Bracebridge, Ontario - Greenstick Interactive is a small web development company serving businesses, organizations and individuals locally, nation-wide and around the world. From the simplest of sites to complex content management systems; media-rich entertainment portals to e-commerce solutions - we've worked with all types of industries over the last two decades, accommodating businesses and budgets of all sizes. We believe in developing sites with purpose, collaborating with our clients to understand their objectives and audience before we start coding. Different goals require different approaches, and Greenstick aims to create tailor made solutions to not only accomplish, but exceed them whenever possible. 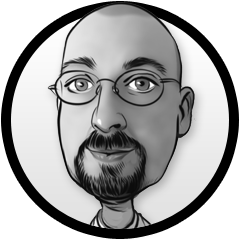 Having dabbled in Web development from the ripe age of 16, Matthew has more than 20 years professional experience in developing Web sites and multimedia projects for industries of all kinds. Primary duties include template and interface development, project management and CMS integration. A big fan of Drupal as a development platform, but also well versed with Wordpress, Joomla and e-commerce platforms. 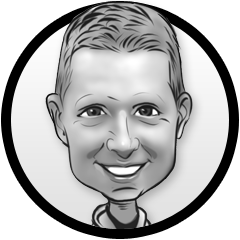 Specializing in search engine optimization and marketing, Jeff has been involved with numerous projects over the last 15 years; using his skills to maximize organic search engine traffic through on page optimization and link development, as well as developing paid campaigns with a focus on ROI on platforms such as Google's AdSense. When he's not focused on marketing, Jeff helps out with content integration and site development. When it comes to standalone applications for today's smart phones and tables, Phil's our guy. 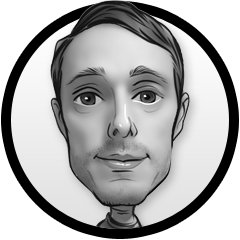 From data-centric business apps to games of all types for entertainment, he heads up all our development for iOS, Android, Windows and other mobile platforms when it comes to all things downloadable. Proficient with a variety of rapid SDKs; Phil makes mobile development faster and more affordable than ever. As a small development firm, we take a legitimate interest in the success of each and every one of our clients. From the initial consultation to the projcts final approval, every customer gets the personal attention their project deserves from day one. Not only have we worked with all types of client sites over the last 20 years - we own and operate a number of online properties ourselves in various markets. This allows us to see things from both sides, and to develop for others as we would for ourselves. We offer competitive, per-project pricing. No guesswork, no surpsises. We never push our customers into long term contracts, and don't offer hosting or domain registrations that make severing ties difficult if we're not keeping them happy.